Quench dry skin and keep it glowing from day to night with the Erno Laszlo Skin Essentials Set; a limited edition skincare kit that combines a trio of intensely nourishing and hydrating products to restore radiance and vitality to the complexion. Housed within a decorative gift box. 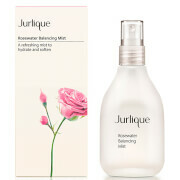 A soothing and calming toner that intensely nourishes dry and extremely dry skin to leave it feeling smooth and soft. Boasting anti-inflammatory properties to relieve sensitive skin, this brightening toner will also encourage tissue repair and eliminate flakiness. 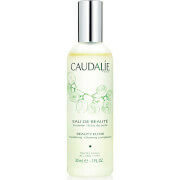 Alcohol-free, it has a silky formula that draws moisture to the skin using a blend of active humectants. Containing 24 hour 'Smart Hydrators', this rich formula replaces loss moisture whilst helping to retain hydration all day. Working while you sleep, it provides anti-ageing properties by plumping and firming skin, leading to fewer fine lines and wrinkles and restored elasticity. Let the rich formula sink in and work its magic while you sleep, and wake up to a youthful, hydrated appearance. Designed to seal in vital moisture, the cream boasts a lightweight and non-greasy formula that will leave your skin looking plumped, smooth and repaired. Enriched with complex emollients that bind moisture to the skin, the moisturiser has a unique moisturising complex that has a pH level that's almost identical to that of your skin, meaning the essential fatty acids that are essential for skin function are maintained. Supplement: Immediately after cleansing, sweep over skin with a cotton pad or apply directly with your hands by patting in the liquid—just be sure to avoid the eye area. Use day and night as part of your bespoke Double Cleansing Ritual. Follow with treatments and moisturizers to match your skin’s needs. Sleep Mask: Apply all over face after cleansing. Rinse off any excess in the morning with warm water. Night Cream: Gently apply with the fingertips. Blend upwards and outwards from the middle of the face and along the neck. Supplement: Water (Aqua/Eau), Glycereth-26, Glycereth-7, Panthenol, Sodium Pca, Allantoin, Polyacrylamide, Parfum (Fragrance), Propylene Glycol, Diazolidinyl Urea, Methylparaben, Disodium Edta, Citral, Geraniol, Citronellol, Linalool, Ci 19140 (Yellow 5), Ci 15985 (Yellow 6), Ci 61570 (Green 5).